I am the Director of Family Catechesis at Saint Mary Magdalene Catholic Church in Gilbert, Arizona. In this position, I oversee the curriculum and catechesis for Pre-Kindergarten through 5th Grade, the catechesis of the parents, and the overall training and catechetical instruction for the catechists and aides. From November 2013 to May 2018, I was the Director of Adult Evangelization and Catechesis at the same parish. I oversaw the Porta Fidei Adult Faith Formation Program, which consisted of a Tuesday morning Bible study, a Thursday evening Bible study, and the Saturday Morning Speaker Series. A passion of mine is speaking to adults about the importance of the Catholic faith and bringing the beauty of the Second Vatican Council teachings along with Pope St. John Paul II’s “New Evangelization” to the faithful of the Church. I am proud to say that I count myself among the JP2 Generation. Growing up in the Papacy of Pope St.John Paul II, I learned the importance of sound theology synthesized with the importance of human dignity and the sacredness of human life. I have a Masters in Theology from Franciscan University of Steubenville. I also hold a Masters in Education from the University of Phoenix and a Bachelor of Arts in Philosophy from the University of San Francisco. While attending USF, I studied the Great Books of Western Civilization and upon graduation received a Great Books Certificate from the St. Ignatius Institute. My writings have appeared on New Advent, Big Pulpit, EpicPew, and Catholic Exchange. 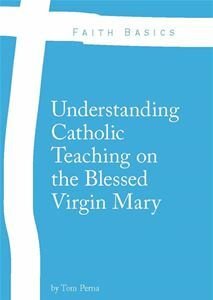 My first book was published through Emmaus Road Publishing – Understanding Catholic Teaching on the Blessed Virgin Mary. I am also a contributor to Vidi Dominum, St. Mary Magdalene Catholic Church’s weekly bulletin. My wife Megan and I attend St. Mary Magdalene Catholic Church in Gilbert, AZ. Disclaimer: All expressions of thought and opinion on this blog, my public Facebook Page, and my Twitter Account are completely my own. They do not reflect nor have anything to do with my employers. Do not contact me at my place of work with questions found on any of my social media sites. Failure to follow these guidelines will get you blocked. Thanks, Tom! see you Thursday morning. Keep up the great work Tom! Watch out for the evil one! The harder we work to please God, the harder that creep works against us. Do you have any stories to confirm that theory? I sincerely hope it is helpful to you. 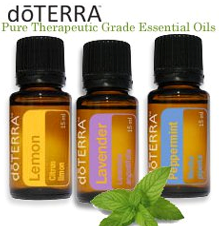 Feel free to recommend the site to anyone. The downloaded free copy us in English only. However, the online pages can now be instantly translated into more that 100 languages. Each page is a full chapter, there are 30 chapters. Once translated, the pages may be read online or downloaded and read at one’s leisure. with Russia vying a great 2nd place. My only request is that the book will reach more people. Any suggestions from you would be most helpful. Just read your comment about driving Fr Groeschel to the airport. What an awesome experience! Found you when googling Fr Groeschel’s comments about purgatory. I was trying to find a reference of him declaring he’ll be in purgatory for 10,000 years. He was very annoyed by people being canonized at their funerals. I will have to say a pray for him tonight during my holy hour. like to make holy cards with the image. Thought you might be interested in reading a book about Mary’s Mission. The digital version is free and up to date. Beautiful. Thanks for what you’re doing! Beautiful! Thanks for what you do! Thank you for your October 4 post on the election. The blessing to hear Father John Lankeit speak on moral choices was cutting to the core. So grateful to have Catholic leaders speak with moral clarity. I have forwarded that post to all family and friends. The truth spoken in love in this world takes courage and integrity. Thank you. Make sure you read today’s post too and forward that on to your family friends. Prayers are needed! Hello Tom. I am working on a stained glass painting of St. Clare and would like to use your drawing of her to use as my reference picture. Is that OK with you? BTW, I belong to St. Francis of Assisi Catholic Church in Blairsville, GA.
Sure, Patty! I got the picture online. Thank you for your presentation this evening at Corpus Christi. You are a magnificent speaker and a great man. Deacon Dennis has a great line of speakers for our Men of Saint Joseph group. I hope we have you again in the future. I believe our group will learn more about Mary and use that to understand St. Joseph more.